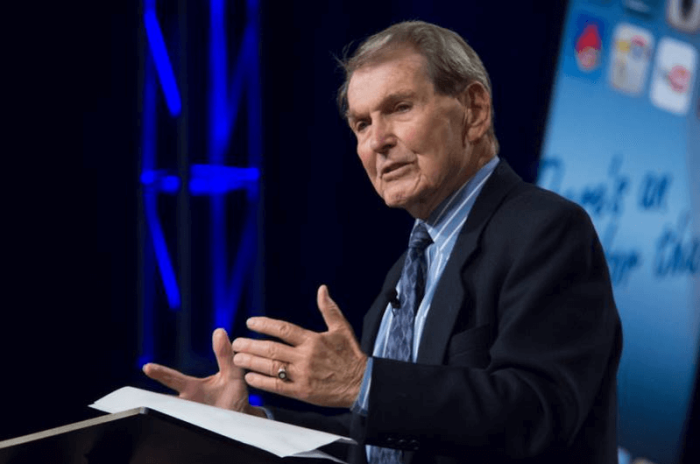 Tim LaHaye, pastor and co-author of the best-selling Left Behind book series, has died at age 90 following a severe stroke. LaHaye became a notable name in End Times literature when he co-authored alongside Jerry B. Jenkins the 16-book series which sold over 50 million copies. In an announcement posted Monday on LaHaye's Facebook page, it was reported that the pastor and author died at a San Diego hospital. Jerry B. Jenkins, co-author of the Left Behind books, said in a statement regarding LaHaye's passing that Tim was a "spiritual giant." "Thrilled as I am that he is where he has always wanted to be, his departure leaves a void in my soul I don't expect to fill until I see him again," said Jenkins. "If Tim was missing from the autograph table or the green room of a network television show, he was likely in a corner praying with someone he'd just met — from a reader to a part-time bookstore stock clerk to a TV network anchorman." Based off of the book of Revelation, the series followed the events of the end of the world as seen through the experiences of people who remained on earth following the Rapture. The first of the LaHaye and Jenkins series was released in 1995 and by 2002 the series had sold approximately 50 million copies. "English teacher Donna Camby, of Pacolet, South Carolina, made the historic purchase of the 50 millionth copy at Christian Supply in Spartanburg during a packed booksigning of more than 700 Left Behind fans," noted leftbehind.com. "The Left Behind series from Tyndale House Publishers is the fastest-selling adult series and the all-time best-selling Christian novels." The success of the Left Behind books led to multiple movie adaptions, including a 2014 version starring Nicolas Cage and directed by Vic Armstrong. 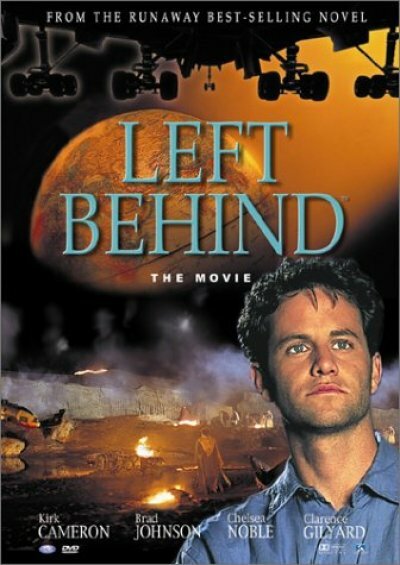 The Left Behind series was not without its critics, as some Christian leaders and churches took exception with the moral and spiritual message of the fiction works. On Sunday, July 24, the group Prophecy Watchers posted a message on Facebook explaining that LaHaye had experienced a severe stroke. "We received some … very sad news this morning. Tim LaHaye has had a very bad stroke and may not recover," read the Facebook post. "Tim has been a friend and supporter of our ministry from our launch day almost two years ago." Within 24 hours, the Facebook post about LaHaye received over 400 likes, more than 560 shares, and hundreds of comments, with many offering prayers. Though most known for the Left Behind series, LaHaye also wrote many volumes of nonfiction works, as noted by his official website. "LaHaye has written more than 60 non-fiction books on a wide range of subjects such as: family life, temperaments, sexual adjustment, Bible prophecy, the will of God, Jesus Christ, and secular humanism with over 14 million in print, some of which have been translated into 32 foreign languages," according to his website. "His writings are best noted for their easy-to-understand and scripturally based application of biblical principles that assist in facing and handling the challenges of life." LaHaye is survived by his wife Beverly of nearly 70 years, four children, nine grandchildren, and 16 great-grandchildren.